The movie Star Wars: The Force Awakens opened in New Zealand on 17 December. But did you know the franchise has a connection to the warriors of 19th century Fiji? 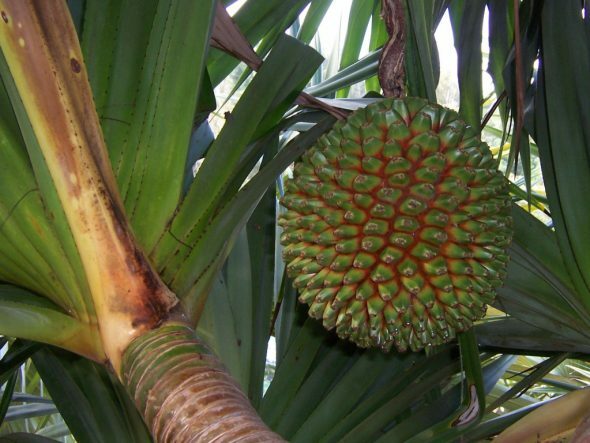 Fijian weapons had a small role in the imaginings for one of the most successful science fiction films of all time….George Lucas’s Star Wars (1977). I posted about this previously several years ago, but with the opening of The Force Awakens, I thought the blogpost deserved a re-release. 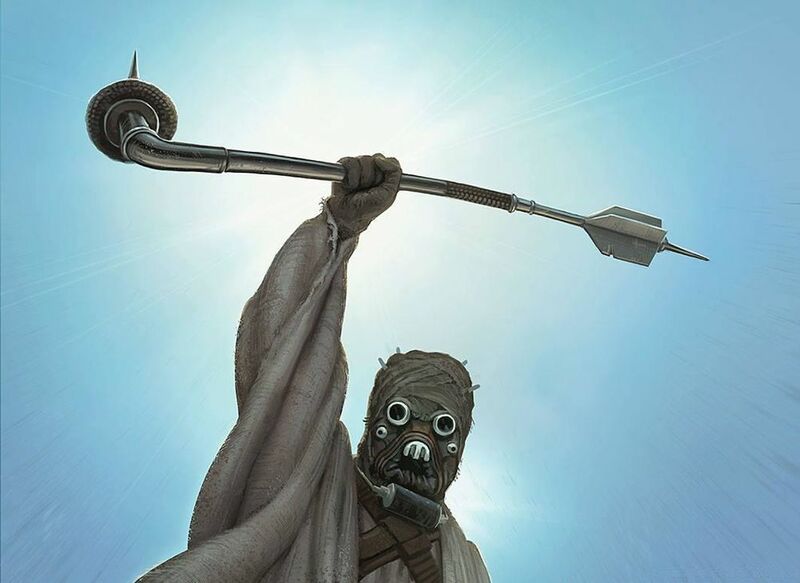 In the 1970’s, a weapon known as a totokia was the inspiration for Star Wars prop designers who developed the gaderffii or gaffi stick, a weapon used by the Tusken Raiders on Tatooine, one of the planets in George Lucas’s invented galaxy. 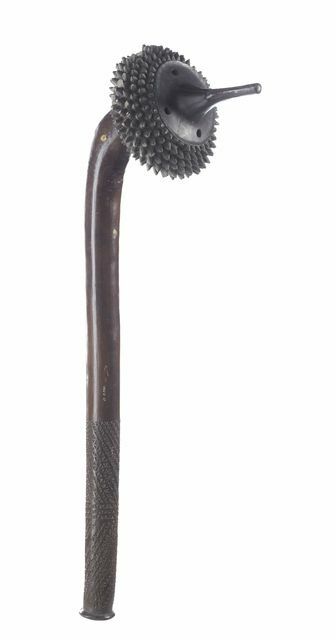 The handle of the gaffi stick incorporated a full length totokia and other versions incorporated other forms of long handled Fijian clubs. 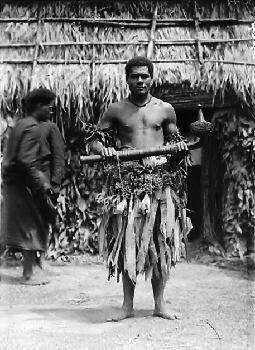 In Fiji during the 1800s, totokia were weapons often associated with chiefs and warriors of reputation. Fiji material culture scholar Fergus Clunie describes it as a beaked battlehammer, “…the totokia was intended to “peck” holes in skulls.” The weight of the head of the club was concentrated in the point of the beak of the weapon or kedi-toki (toki” to peck; i toki: a bird’s beak). The totokia “…delivered a deadly blow in an abrupt but vicious stab, not requiring the wide swinging arc demanded by the others.” It was a club that could be used in open warfare or to finish-off or execute warriors on the battlefield. 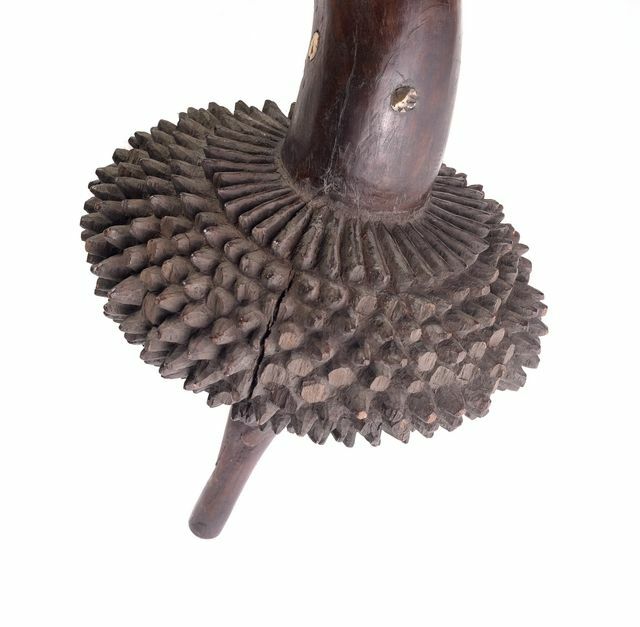 Te Papa has several examples of Fijian totokia from the 1800s in its collections.They are usually carved from a beautiful dark timber and are often decorated with detailed carvings. 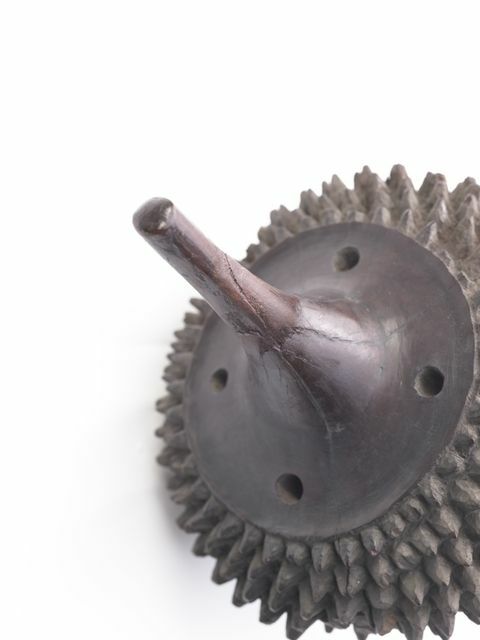 Some examples are inset with human teeth or small pieces of whale ivory. European collectors often referred to totokia as pineapple clubs because of their distinctive shape. 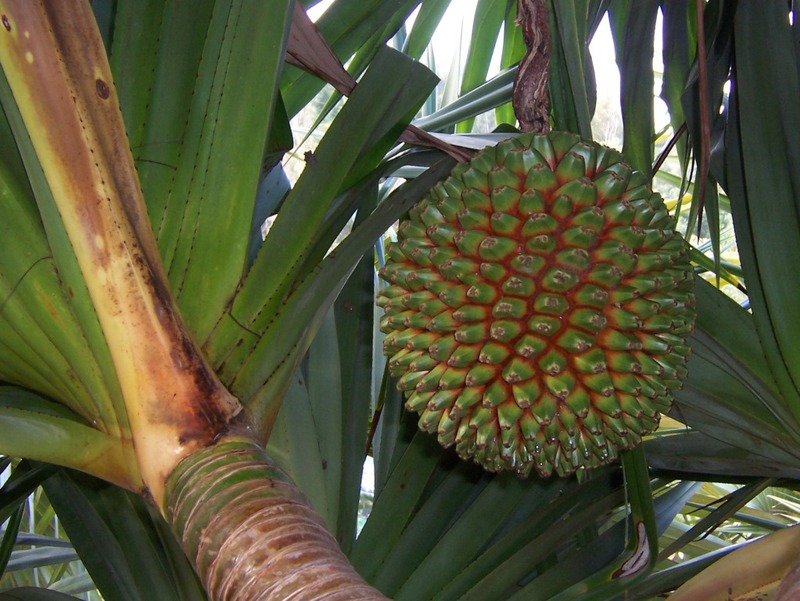 Other commentators have said that the business end of the club more closely resembles the pandanus fruit. A few bloggers have picked up on the connection between the gaffi-stick and the totokia over the last few years, and it has been well known in the Star Wars geekscape for quite a while. There are even websites with instructions on how to build your own gaffi-stick and the costumes of the Tusken Raiders. One dedicated fan has developed a “Fijian Totokia war clubs” kit for people to purchase. The totokia in Te Papa offer an intriguing glimpse into indigenous warfare in Fiji but also the skill and creativity of local carvers. What would these carvers of the 1800s make of the Star Wars connection today? Pop! 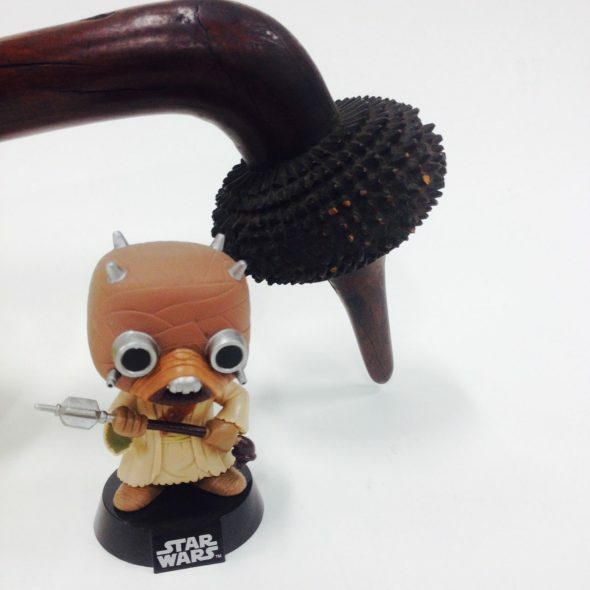 Star Wars “Tusken Raider vinyl bobble head” with totokia, Fiji. Clunie, Fergus, Fijian Weapons and Warfare. Bulletin of The Fiji Museum, No. 2.Suva, 1977. Clunie, Fergus, Yalo i Viti. A Fiji Museum Catalogue. Fiji Museum. Suva, 1986.